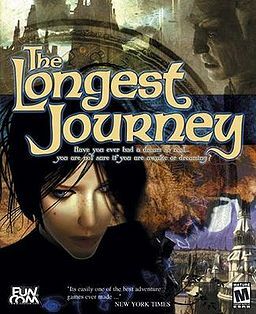 The Longest Journey was an adventure game by Funcom that was released in Norway, Sweden and France in 1999, and to the rest of the world in 2000. It follows a teenage girl named April Ryan who discovers she has the power to travel between the science world and the world of magic. Both worlds are being torn apart and only she can put a stop to it.